The Martha Cohen Theatre lobby bar opens one hour before each performance. Comfortable seating and tables make for a great place to catch up with friends or family and celebrate life’s small pleasures. Drinks are allowed into the theatre, provided they are in a plastic cup. Alberta Theatre Projects has partnered with our friends at Willow Park Wines & Spirits to bring you a wine menu that is as sophisticated as our guests. Choose from a selection of affordable house or premium wines (red & white) selected seasonally by sommelier Michael Biggatini. 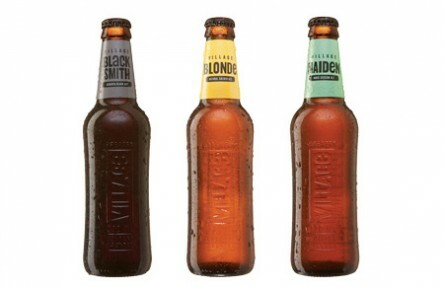 Alberta Theatre Projects proudly serves locally-crafted beer from Village Brewery. Committed to supporting Calgary’s artists and craftspeople, Village Brewery brings their own artistry to the crisp and refreshing ales and lagers they create. Our lobby bar stocks a wide variety of spirits to be able to craft the drink of your choice. Special themed cocktails for each show capture the playful spirit in which we create art. A variety of packaged snacks are available from the lobby bar including chips, chocolate bars, and ice cream bars. As food is not allowed in the theatre, all snacks must be consumed in the lobby. Skip the line-up by pre-ordering your intermission drinks before the show. Simply write down your name and your drink order on the order slip at the bar, pre-pay for it, and it will be waiting for you at the coat check on the orchestra level as you exit the theatre. Plan to take advantage of a night out on the town to explore Calgary’s food scene, and sample what local culinary artists are cooking up.